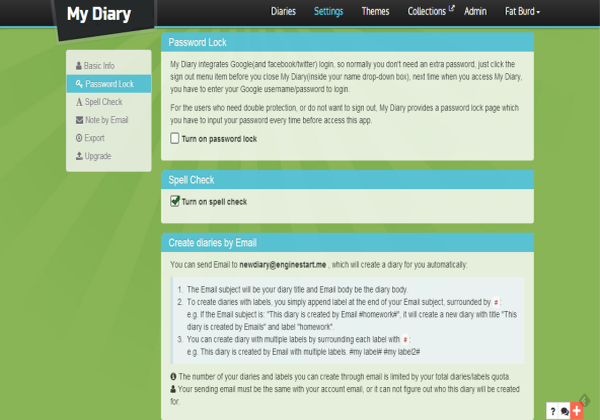 Keep your private diary and journal in the cloud, features clean, simple and elegant. *My Diary is developed with privacy in mind, all your diaries are private by default and can only read by yourself, unless you publish it on the web manually. 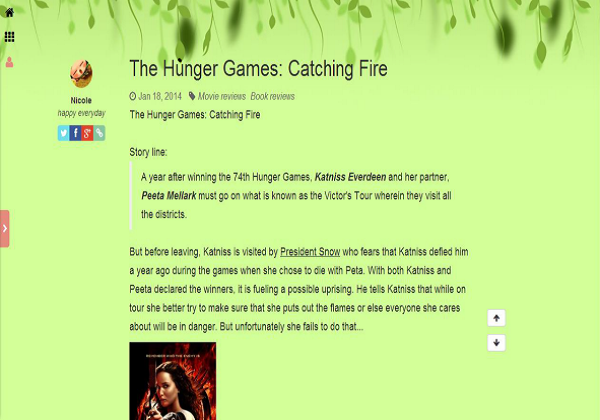 Publish your diaries on the web by one click. 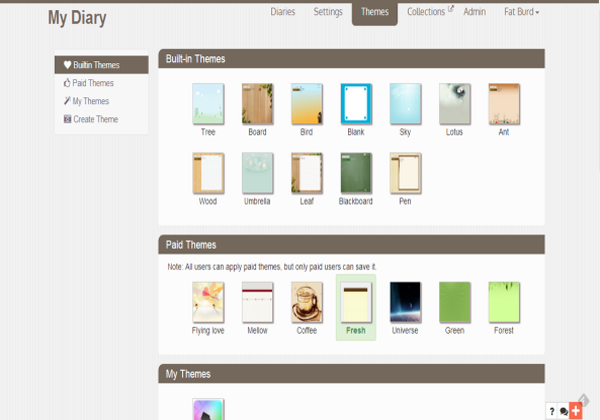 Themes and fonts to customize your diary. Import your diaries from another account. Export your data to Google Drive by a click. 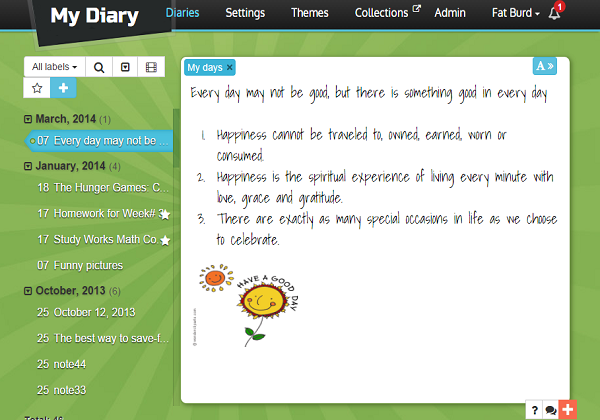 I want to say that I enjoy using My Diary. 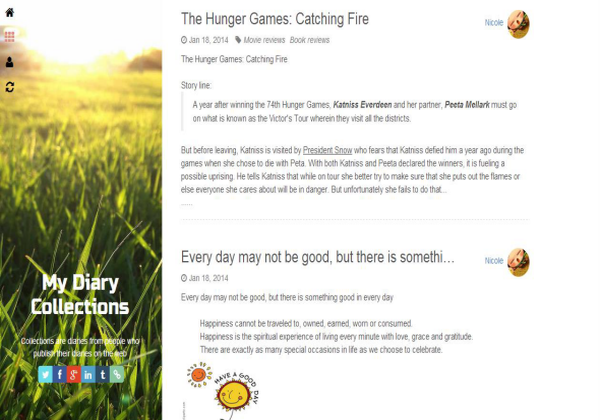 It is fast to access, elegant and simple to use-- perfect for journal writing. I find this to be very useful: much better than trying to keep track of a paper and pen diary. An AWESOME tool that I use for my daily Journal! DOWNLOAD IT NOW! I love the handwriting they put in it! i love this app because you can write your personal info and nobody has to know what you wrote.